Rocky Point is the closest resort town to Arizona, which has made it a popular destination spot for RVers retirees and college students. The coastline in Puerto Penasco is rapidly changing; major projects have been developed such as shopping malls, condos, villas and luxury hotels in the hopes to attract a more upscale clientele. Rocky Point hotels are getting more luxurious with every passing year. 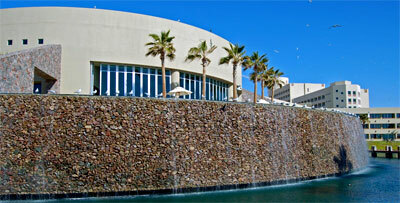 Rocky Point hotels offer every amenity you can hope for such as pools, Jacuzzis and full service restaurants. Most Rocky Point hotels also offer RV parking and camping to accommodate the serge of Arizonans that rush to Rocky Point during Spring Break. High end marinas are being built along with several new hotels. Below is a list of types of condominiums, hotels and resorts, bed and breakfasts, trailer parks and spas in the Puerto Penasco area of Sonora, Mexico, including Rocky Point Mexico. Click on the listings below to view Accommodations in Puerto Penasco. We offer driving directions and a map of Rocky Point.